Great news! If you are getting married or vacationing in the Canadian Rocky Mountains you now have more options for pet-friendly accommodations in Banfft! We have just learned that The Rimrock Resort Hotel is now pet-friendly! They do have limited pet-friendly rooms available so do make sure you book in advance. Not only are you treated to the luxury experience of a resort in the Rockies, but your pet-friendly room includes a pet bed, food and water bowls, doo doo bags and even a fresh dog biscuit for your four-legged friend! Of course, there are also many great trails for you and your pet to trek. You can check out The Rimrock’s pet policy here. In addition to the Rimrock Resort Hotel there are other great accommodations for pet lovers. The Fairmont Chateau Lake Louise (Lake Louise) even has a Director of Pet Relations, Sonny a four year old Labrador Retriever who is trained as a Guide Dog for the visually impaired! You can find more information about taking Sonny for a stroll here. The Fairmont Banff Springs and The Fairmont Jasper Park Lodge also offers luxurious dog amenities and fresh baked biscuits daily, as does The Juniper Hotel and Bistro. You can expect to pay a daily room charge of about $25 to $50 extra for your pet; a small price to pay to have your four-legged family member with you on your vacation, honeymoon or wedding. Not to mention that several of these hotels donate some of the proceeds to local animal shelters and other great causes. So now, there is no excuse for not having your four-legged friend at your Rocky Mountain Wedding! One of our favorite wedding venues is Emerald Lake Lodge. They have been pet-friendly for some time and dogs absolutely love it there as much as we do! In addition to its incredible mountain views there are great hiking trails to take your four-legged friend on. If you know of other great hotels in the Canadian Rocky Mountains that are pet-friendly let us know! For more information on how to include your pup in your wedding read our post Including Your Four-Legged Friend in Your Wedding. 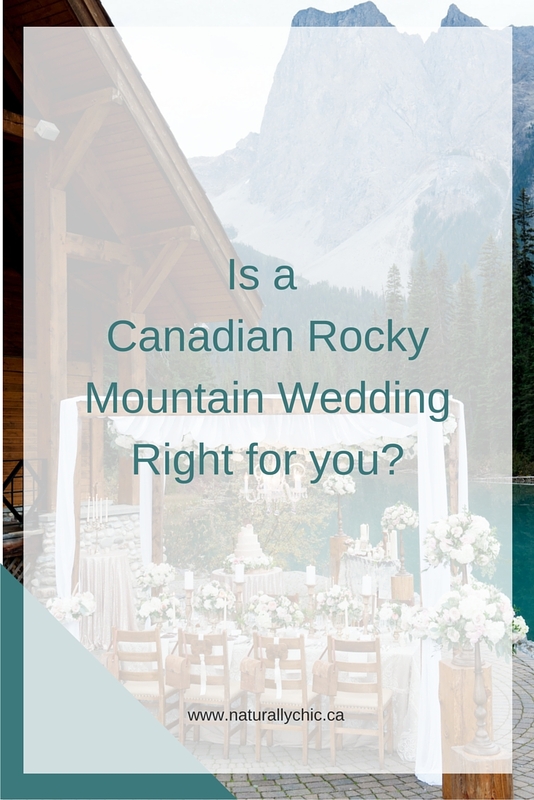 Contact Naturally Chic for more information on planning your rocky mountain wedding in Banff, Canmore, Lake Louise, Jasper, Golden, Fernie, or area, at 1.888.679.9056 or email at hello@naturallychic.ca . Great news for brides! The new J Crew Bridal Boutique on Madison Avenue in New York has opened. The official opening was co-hosted by Martha Stewart Weddings. The store and the dresses look amazing! The following photos are from the Little White Book blog…I didn’t see any photo credits but I am guessing they were taken by Courtney of Little White Book. Enjoy! I love that the dressing rooms have quotes on the walls! The online shop has dresses for the brides, bridesmaids, and flower girls, as well as items for groomsmen and the ring bearer. They offer shoes, lingerie, gifts and even have a dress fitting guide and other tips to help you out! 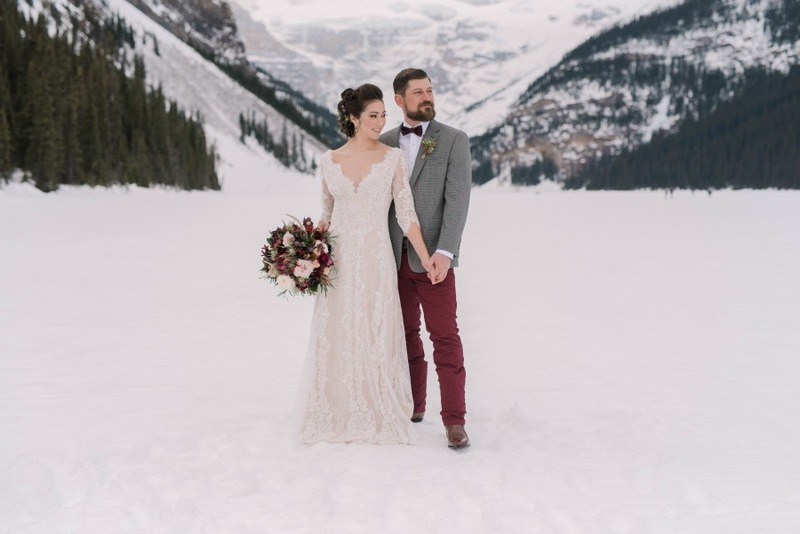 Welcome and thanks for visiting Banff and Canmore wedding planner, Naturally Chic ‘s Blog! 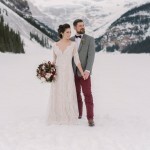 We are a boutique wedding and event planning company based in Canmore Alberta, in the beautiful Canadian Rocky Mountains. With a passion for bespoke design and creative styling, we create meaningful events with unique details and beautiful aesthetics. From concept creation, design, and planning, to wedding day installation, our goal, always, is to create a day that is truly you in every way. To bring your unique wedding style to life and ensure that your wedding is like no other, we offer our in-house custom decor and work with like-minded, creative professionals. We take on a select number of weddings each year to maintain the quality and integrity that your event deserves. 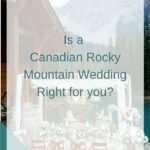 If you’re looking for a wedding planner in Banff, Canmore, Lake Louise, Emerald Lake Lodge, Golden, Fernie, Jasper, the Kootenay Rockies or most any where in the Canadian Rocky Mountains we can help! We especially love winter weddings and mountain lodge weddings! What else do we love? Well, we LOVE all types of adventure! Of course we love working with our fabulous clients planning bachelor parties, bachelorette parties, proposals, elopements, heli-weddings, ranch weddings and farm weddings. We specialize in unique, rustic wedding decor! Our work has been recognized throughout North America and has been featured on top wedding blogs such as Style Me Pretty, Wedding Chicks, Ruffled, and in wedding publications such as Luxe by Calgary Bride and even Martha Stewart Weddings! We’re also certified (and eco-certified) by the Wedding Planners Institute of Canada. We blog about our wedding adventures and love sharing our stories, ideas, and tips with you. We hope you will visit often and share your adventures with us too. For more information on planning your Banff and Canmore wedding, or anywhere in the Canadian Rocky Mountains see our Naturally Chic website! Thanks again for stopping by!